The effectiveness of omega-3 supplements has been the subject of controversy for some years now. How good for us are they really? 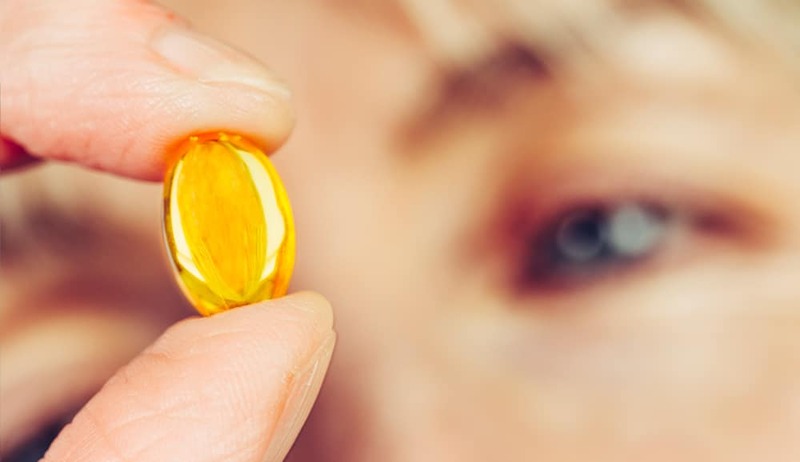 It seems that every other week, there’s a new study showing the benefits of fish oil for brain health, dry eyes, or children with allergy issues. And then, just as soon as we feel comfortable popping those fish oil capsules, another study comes along showing ‘no benefit,’ or even worse: negative effects. Why Are There Such Different Results? Often, news outlets will comment on the different dosages used, poor study designs or increased use of medication to explain away the confusion. And the omega-3 industry might counter by saying the media sensationalized the science. However, there is another factor that scientists are starting to raise, and that is the rancidity level of the oils used in the studies. In 2016, a new review and a study on Alzheimer’s disease came out. These papers add to the body of scientific literature showing that rancid fish oil could explain why some omega-3 fish oil studies find positive effects and others do not. Furthermore, these studies build a strong case for why rancid omega-3 supplements could be considered a serious health concern. Bo and I have written extensively about the importance of getting a fresh, liquid fish oil since 2012. We’ve covered everything from how to assess whether your omega-3 supplement is rancid, to documenting the rampant rancidity issues within the fish oil industry, to more technical pieces on peroxide and anisidine values (two important freshness measurements). For this blog though, we’re going to look at the new review by W. Wang et al from the University of Massachusetts, Amherst. Wang’s review is the latest to discuss the problems with rancid fish oil, following in the footsteps of other scientists who have been examining the issue for the last 5 + years. Wang details the most recent animal studies done on rancid omega-3 supplements, as well as some of the trials done on people. At the end of the article, the review states conclusively that when the omega-3 fatty acids oxidize (or turn rancid), the byproducts created have “a mutagenic and pro-inflammatory” effect, and could be linked with increased cancer risks. If Wang’s review sounds ominous, consider another study (this one by Grimm MO et al) that was published in 2016. In it, the researchers looked at the relationship between omega-3 fatty acids and Alzheimer’s disease. Numerous past studies showed that getting enough omega-3, particularly the DHA variety, could reduce the risk of Alzheimer’s disease. However, when studying the postmortem brains of Alzheimer’s disease sufferers, the researchers also found elevated levels of lipid peroxidation (i.e. those byproducts created when the omega-3 fatty acid oxidizes). 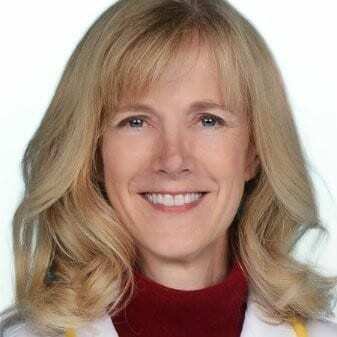 These researchers designed their study to investigate whether oxidized omega-3 fatty acids were simply a symptom of Alzheimer’s disease, or if lipid peroxidation could be contributing to the problem. They discovered that when the DHA molecule oxidized, it reverted the molecule’s protective benefits for the brain. They also found that oxidized DHA significantly increased Aβ production, which is widely believed to be a driving cause of Alzheimer’s disease. 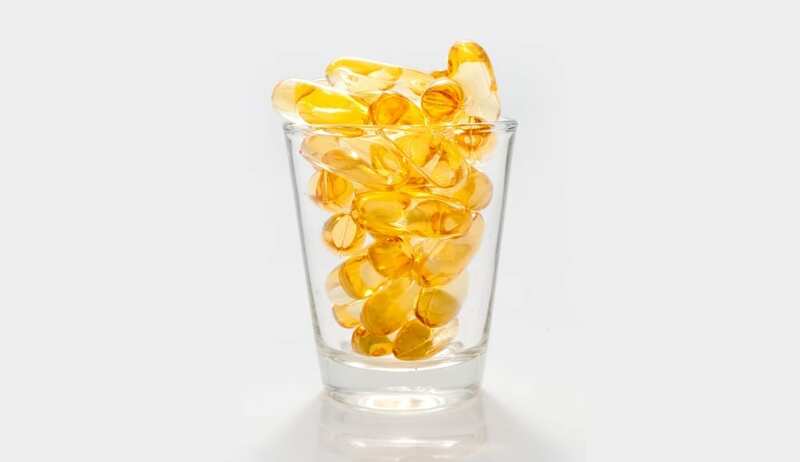 Should You Take Omega-3 Supplements? These findings are shocking, and they are especially worrisome considering that studies around the world have found that over 80% of the omega-3 supplements on the market exceed relatively lax industry freshness standards. This includes omega-3 formulations for pregnant women and children. But the right conclusion is not to give up on omega-3 altogether. Omega-3 fatty acids are vital to our health, making up an important part of every cell in the body. Most of us, especially in the United States, do not get enough omega-3. 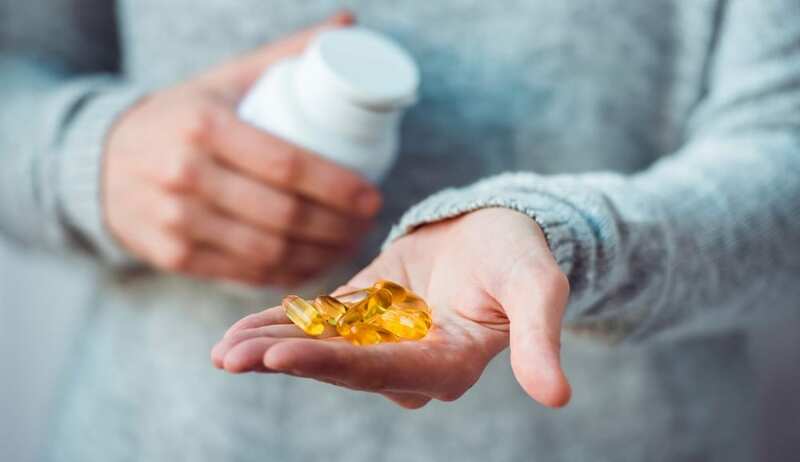 And as both Wang and other researchers suggest, omega-3 supplements have the potential do a lot of good for preventing and treating diseases, including certain types of cancer and cardiovascular disease. Where Do I Find Fresh Fish Oil? Furthermore, truly fresh omega-3 oil exists, and it is available. Our Omega Cure®, for instance, has a peroxide value between 0.1 – 0.3 at the time of bottling, matching the quality of fresh fish. Since we ship Omega Cure directly to the consumer only a few weeks after production, its peroxide value is at least 80 times fresher than your typical fish oil capsule. 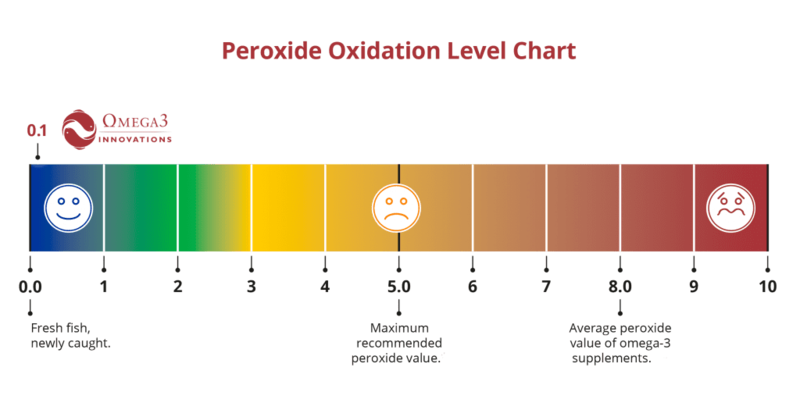 Looking at an omega-3 oil’s peroxide value is one good way to assess its freshness level. Because most consumers don’t realize that their oil is rancid, and because the technology and equipment needed to create fresh fish oil is expensive, most manufacturers don’t bother with it. But if the demand, awareness and regulation was there, we are sure this would change. In the meantime, avoiding fish oil is not a great solution. With any kind of oil, be it flaxseed, krill oil or olive oil, you run into rancidity issues. Even eating fish does not mean you are immune from the effects of lipid peroxidation. How your fish was killed, stored, and finally cooked can impact the quality of the omega-3 fatty acids. Instead, Bo and I believe that combating rancidity has to begin with awareness and education. As consumers, freshness is something we have to be aware of, and we need to seek out quality oils. For fish oil, consumers need to demand higher freshness standards. Ask to see your omega-3 supplement’s peroxide and anisidine values. Be attentive to how it is stored. And at the very minimum, use the taste and smell test to assess the quality of your oil. Following these principles, you can make sure you are getting a fresh oil and experiencing the full benefits of omega-3 fatty acids. You can browse Omega3 Innovations’ range of quality omega-3 fish oil products here, which are safe for the whole family! 4. Murphy MP, LeVine H. Alzheimer’s Disease and the β-Amyloid Peptide. Journal of Alzheimer’s Disease : JAD. 2010;19(1):311. doi:10.3233/JAD-2010-1221. I bought 2 bottles of the fish oil yesterday and unfortunately both thawed due to freezer door being left open. Can I refreeze? How long does a bottle last if thawed and in fridge? Thanks. Hi Delaney! That’s not a problem, you can absolutely refreeze Omega Cure, it won’t hurt the oil. Unopened and stored in the refrigerator, the bottle will last nicely for up to 3 – 4 months. Once you open the bottle, however, you do need to use it up within 5 – 6 weeks since the oil will start to oxidize with exposure to oxygen. Why does NO ONE discuss ways to recover from taking RANCID Omega 3? Interesting question, Robert. We haven’t seen much research on this front. But we would imagine that a key way to help would be to first and foremost stop taking the rancid product and then to switch to a fresh omega-3 source. Hi Linda! Our website is only set up to take orders from within the USA. However, if you contact us, we can get you a quote for shipping to Canada. Oh wow, I read this whole thing, thinking it was an article, only to find out it’s a really long ad for their fish oil. lol! Hi Auston, Thank you for your comment! Yes, we do promote our products on our blog, and we don’t try to hide that. But if you check the references section, you can also click on any of the links to read what independent researchers are saying on the topic. Our goal is to provide you with resources so you can do you own research and draw your own conclusions.